This week’s performance features highlights from choreographer Kun-Yang Lin’s career along with a new piece. At the core of his choreography anthology, Kun-Yang Lin says audiences may notice a sense of “Qi” – a Chinese philosophical concept surrounding the flow of energy inherent through all of life. 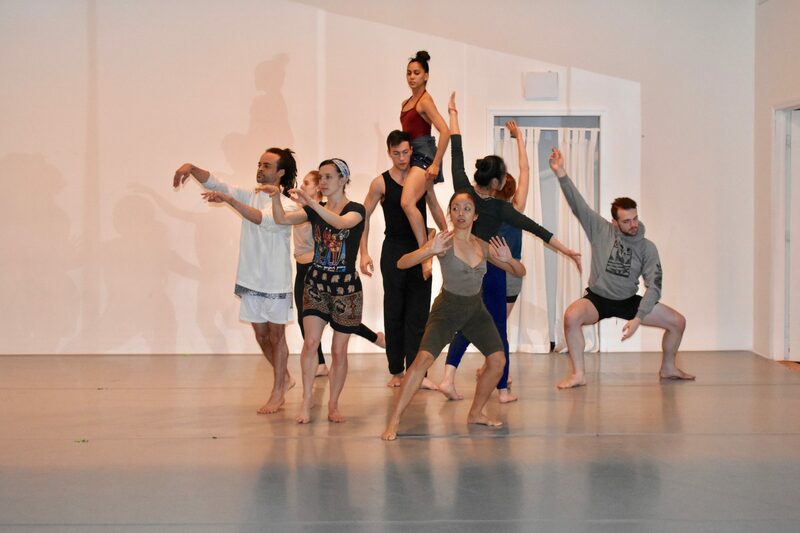 Whether described as “coming full circle,” a “cyclic journey” or “infinity,” the ensemble of 10 dancers performing under this prolific South Philly-based choreographer articulate his visions quite similarly. No matter how they’re worded, though, it’s agreed that some form of this idea resonates through all 101 of Lin’s creative works – a testimony to an inspiration that also seems rather infinite. Commemorating his 101st milestone, Kun-Yang Lin/Dancers, a world-renowned contemporary dance company that has been based in the Passyunk Square neighborhood since 2008, is presenting a collage of the Taiwan-born artist’s highlighted works, ranging from the early 1990s to the debut of a brand new piece, “Spring 101,” at the Annenberg Center Live, 3680 Walnut St., on April 12 and 13. Recently reflecting on his decades of work in the performing arts, Lin, whose training ranges from London’s Transitions Dance Company to the Martha Graham Company, says while fostering his technique around the world, he was always creating choreography on the side. At the conclusion of nearly all of his works, nothing ever feels fully answered, tracing back to questions first probed since the infancy of Lin’s pieces, including “Moon,” from 1993, which is one of the five excerpts featured in the Anneberg performance. Crafted while studying in New York City, the solo piece “Moon,” is later followed by the program’s other featured pieces – “From The Land of Lost Content” (2000), “CHI” (2002) and “Dreamscape” (2016) in this weekend’s show. The first half of the show, which is comprised of “Moon,” “CHI” and “From The Land of Lost Content,” is primarily Eastern influenced, featuring images of Tibet and handheld Asian bell instruments. eventually, the sound of gongs bleed into more contemporary beats and later even baroque composition. Although aside from the music, the movement becomes more modernized, as Lin works to weave Eastern dance with Western, dancers say the headspace never wholly alters. 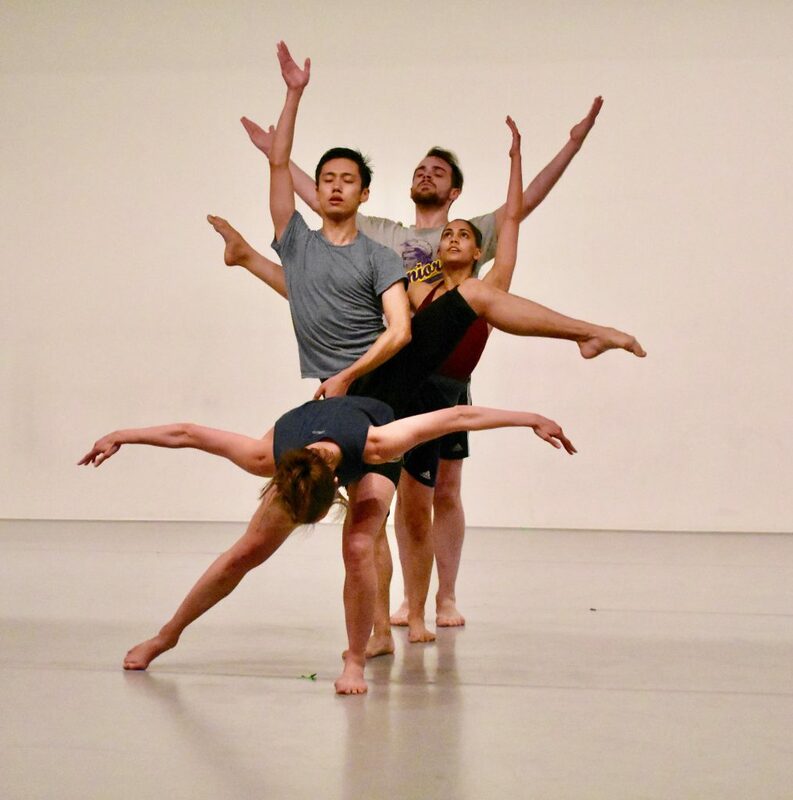 “It’s nice to have one continual, linear thing that your body can hold onto or that your mind can hold onto, even though your body is doing this totally different kind of extremes of vocabulary movement-wise,” said company member Kyan Namazi. Both Lin and his dancers attribute the evolution of his choreography to his gradual inclusion of performers’ perspective. The changes in his creative outcomes are the product of more frequently using his dancers as a blank canvas and watching how the motions naturally unfold on them. This idea aligns with Lin’s comprehensive perspective of viewing his company as a garden – a collection of distinctive flowers that, together, make a scenic landscape. Like all of his work, “Spring 101” attempts to resolve an unanswered inquiry. The new creation, which concludes the Anneberg performance, picks up where the company’s last undertaking, “Faith Project/The Doors,” left off. The 2018 show lies at the “intersection of dance and religion,” examining the role of theology in people’s everyday, as research for the work stemmed from interviews with local immigrant communities in South Philly. Set to the sounds of baroque music, the work is intended to evoke joy attached to the blossom of springtime, which also coincides with this recurring theme of Qi. 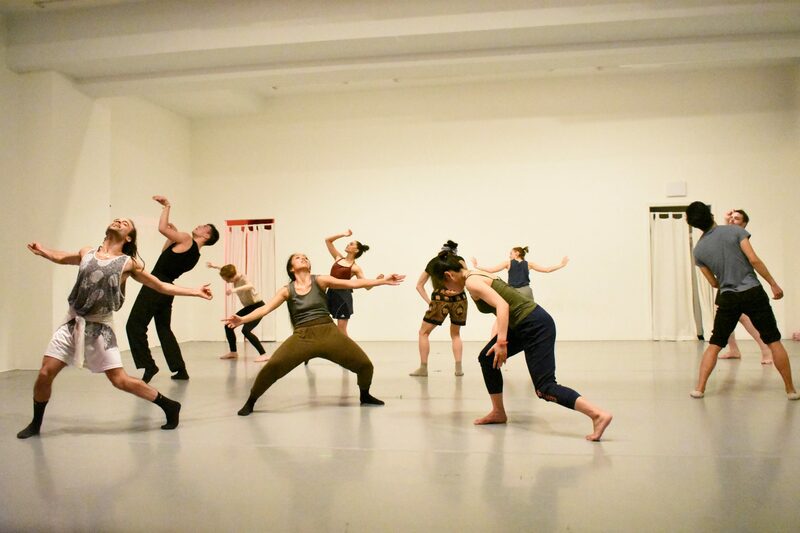 While Lin and the company recollect on the history of the Kun-Yang Lin/Dancers company, they simultaneously look ahead toward the next chapter – a continuous cycle of asking questions and dancing their way toward answers.